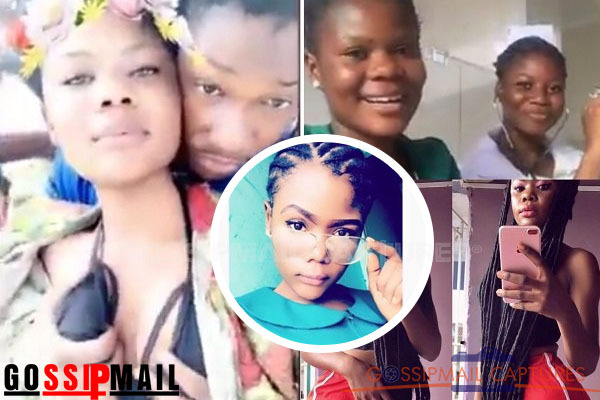 The two Infamous Facebook nurses, Trudy Ewurama Marcel and Ramatu who were sacked by the management of Royal MMR Hospital at Dansoman over the weekend for taking to Facebook while on duty have refused to take their bath since they were sacked according to reports Ghpage.com gathered from an Accra based radio station, Adom Fm. The two in their uniforms took to Facebook in a six-minute long video went viral after Ghpage.com had shared it on its Facebook Page. The management, in an emergency meeting, sacked the duo from their workplace after the public backlash over their misconduct and unprofessional acts. On the same Adom News on Monday evening, it was revealed that the two, since their dismissal has not been able to take their bath. “Not a single drop of water has touched their body and so we plead that whoever is close to them should advise them to eat and take their bath” It was reported.